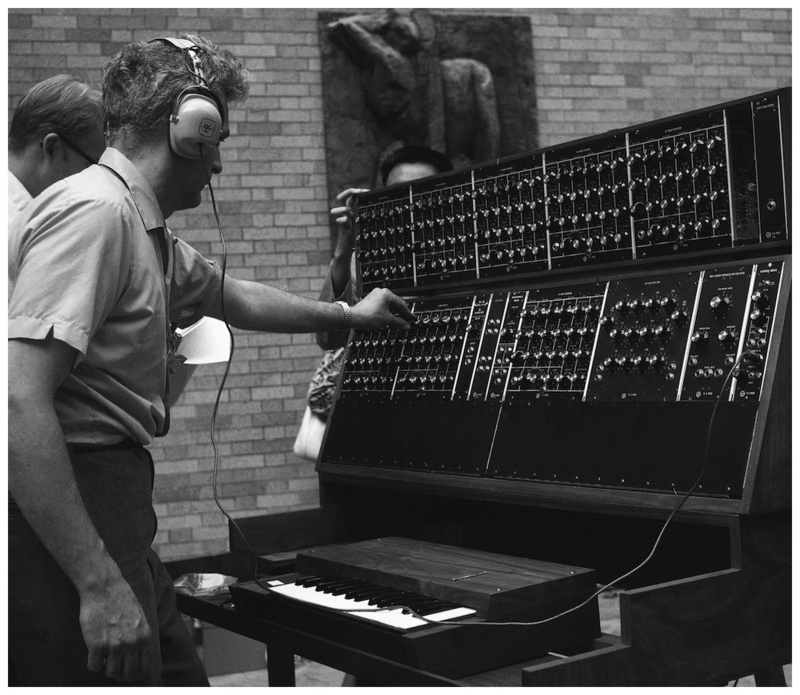 Robert Moog, 35, who designed the best known of the electronic musical synthesizers, makes final adjustment on the Moog Synthesizer prior to a jazz concert at Museum of Modern Art, Aug. 28, 1969, New York. Two quartets played four Moogs during the hour and a half long concert in the Museums open air sculpture garden. Some 4,000 persons attended the concert.